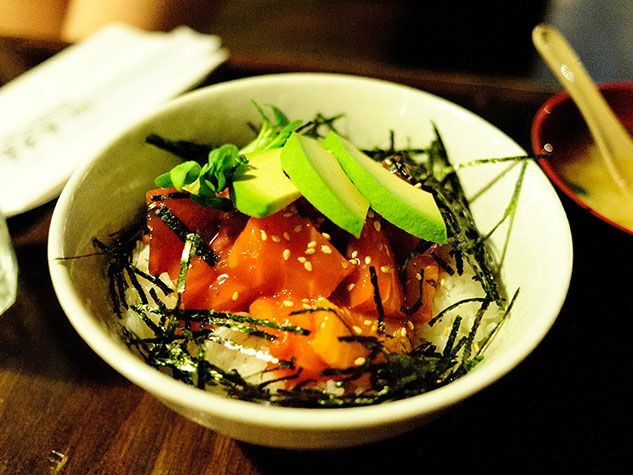 Straight from Hawaii, poke bowls are the latest food trend. You’ve no doubt noticed them on social media platforms and restaurant menus. It’s a bowl of raw fish cubes with vegetables and rice. A little bit like deconstructed sushi. The secret of its popularity lies in the freshness of its ingredients, and its photogenic and appetising appearance. After our best Buddha Bowls and best smoothie bowls, it’s time to take a look at the best poke bowl recipes! Let’s begin with a very simple recipe. The dressing is made from ingredients you most certainly have in your cupboards (especially if you’re a fan of stir fries). Cucumber gives crunch and freshness while the avocado adds a lovely creamy texture. All of this is served on a bed of sushi rice. It’s the ideal recipe to try poke bowls for the first time. 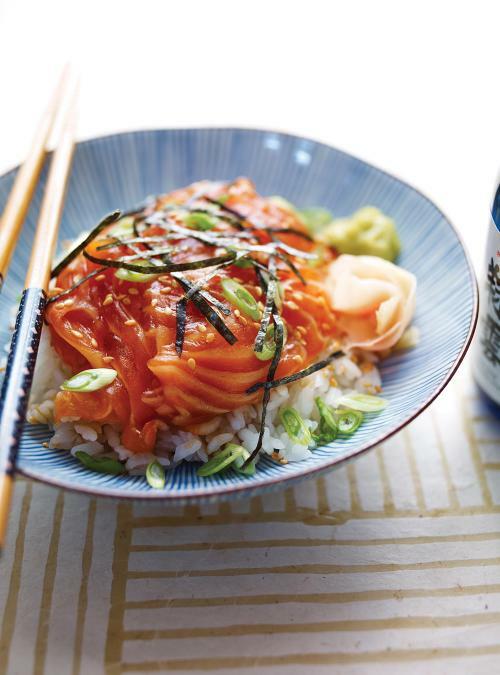 This recipe isn’t quite a poke bowl, because the fish is thinly sliced rather than cubed. Poke means “cube” in Hawaiian. Sushi lovers will appreciate the wasabi, ginger and nori. Always use the freshest fish and vegetables to avoid any risk of food poisoning. Fresh fish isn’t affordable for everyone. That’s why we’ve got a budget alternative that costs less than $2 per person, made with canned salmon, eggs and beans. It still looks impressive and offers a good dose of vitamins thanks to all the vegetables it contains.